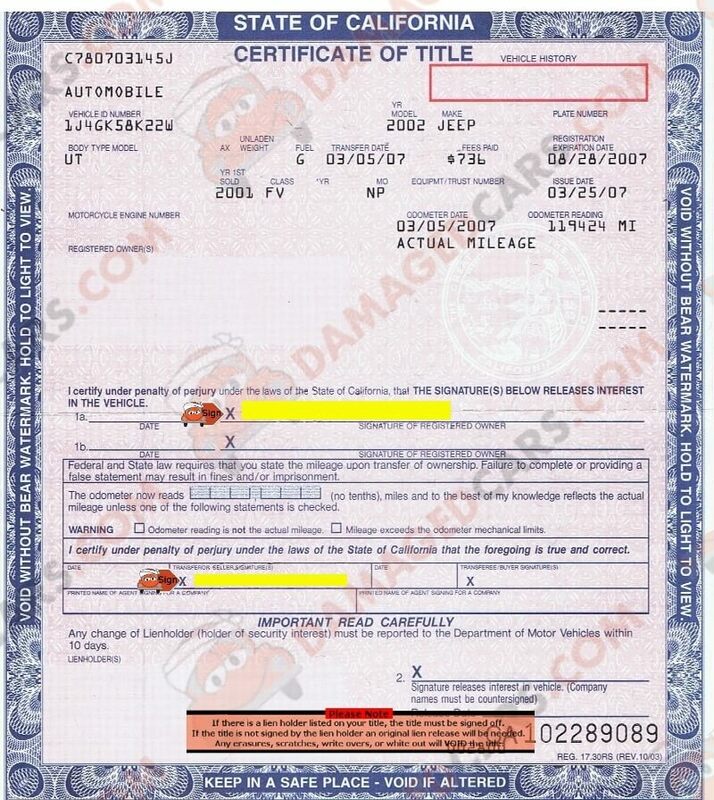 California car Title - How to transfer a vehicle, rebuilt or lost titles. Where Do I Sign a California Title? California titles require two signatures. Both are on the front of the title. 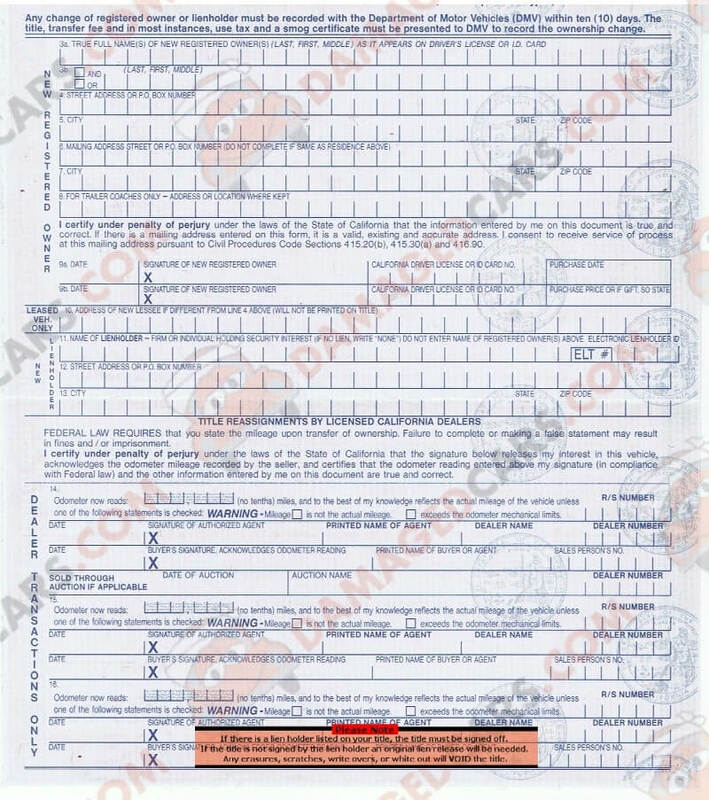 The first is in the center of the title and is labeled "Signature of Registered Owner" A second signature is required for the odometer statement. The field is labeled "Transferor Seller Signature" located on the lower left. Can I Sell a Car in California Without a Title? The California DMV requires a title to sell a vehicle.